I’m in love with these cookie cutters. Leave a ransom note and a little treat for the victim at the same time! I’m thinking a note to Mr. Geek saying “Do the Dishes” may be in order. These would also be fun left on a friend’s doorstep with a cryptic message. What would you spell out with these cookies? 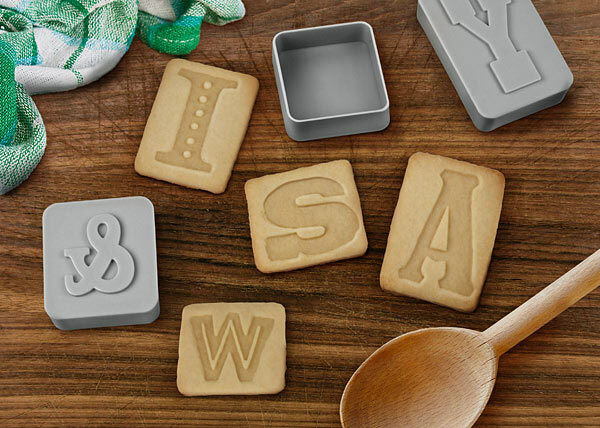 Cookie Cutter set includes all 26 letters plus an ampersand and exclamation point. $17.99 at ThinkGeek.com.